Challapalli in his new role will report to Saurabh Varma, CEO, Publicis Communications India. 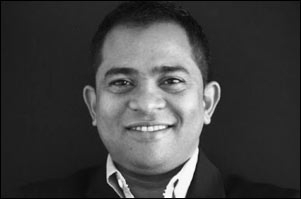 Leo Burnett recently announced the appointment of Prashanth Challapalli as the chief integration officer for South Asia region. In his new mandate, Challapalli will report to Saurabh Varma, chief executive officer, Publicis Communications India, and will work with leaders across Publicis Communications to drive integration. His last stint was with iContract, where he was the executive vice president and digital head. At Leo Burnett, his key mandate predominantly includes operationalising and scaling up agenciy's unique methodology, PLAY, which puts context at the heart of creating content. Challapalli will also be a key bridge between Publicis Communications and Publicis.Sapient, responsible for bringing the best of Publicis.Sapient to all Publicis Communications clients. Speaking about the new appointment, Varma, says in a press release, "Prashanth joins us at a critical stage in our transformational journey as Publicis Communications. He brings with him boundless energy, and the ability to integrate across mediums. He will be key as we put digital at the core of our offering and increasingly create cutting edge ideas and stories which emanate from the product itself." Commenting on his appointment, Challapalli, says in a press release, "When I met Saurabh, the people, ambition and momentum at Leo Burnett were the deciding factors for me. Publicis Communications is poised at the cusp of transformation right now with a diverse range of skill sets across mainline, digital, shopper marketing, PR and content production. My role will be to bring all of these together through PLAY. I have always been a big believer in the one brand, one consumer and one communication approach and most of the leaders at Publicis Communications are either ex-colleagues or friends for a long time. I am really looking forward to partnering all of them." With over 19 years of experience, Challapalli has worked with agencies like Ogilvy, Lowe, Dentsu, Publicis Ambience and Rediffusion Y&R, and has also successfully built and lead Jack in the Box Worldwide and iContract in the digital space. 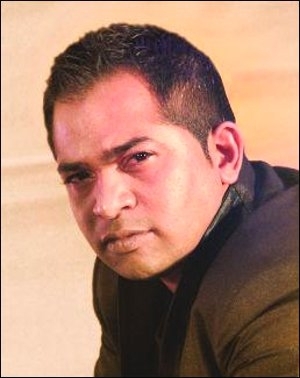 He has won multiple national and international awards like EFFIES, Spikes, and AME, among others, for his work across brands and campaigns like Puma, Pepsi, Slice, Louis Philippe, Durex and Kolaveri Di.